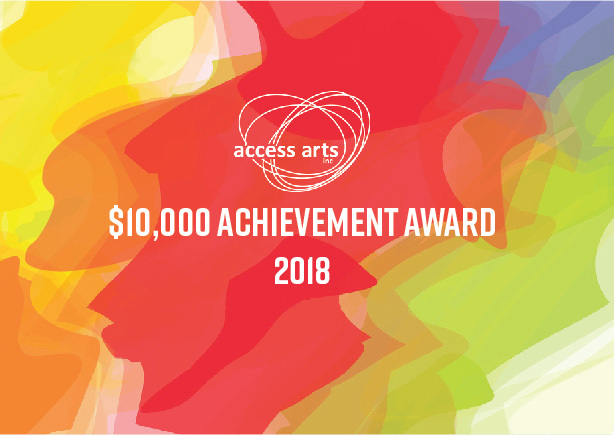 The Access Arts Achievement Award provides up to $10,000 in funding for Queensland artists, arts workers and producers with disability working in any art form to create, develop, present, produce, exhibit and/or tour their work. This is the fifth and final year (2018) of the $10,000 Award. The Award is made possible by a generous donation from Access Arts Life Member, singer-song-writer Peter Vance. Projects may start from 1 January 2019 and must be completed within 12 months or an alternative timeline approved by Access Arts. Applications will be assessed based on the project’s artistic and/or cultural merit and innovation, opportunity for professional development and project viability. Be sure to read and download Access Arts Achievement Award Guidelines and get a head start with your Access Arts Achievement Award Application by clicking HERE.